I don’t get to Melbourne too often these days.What a match to attend at the G; worth the trip. Neither too hot nor too cold (but still requiring spectators sitting in front of us on the fence to keep their fluids up – quite amusing commentary throughout, actually). A poor (60 000), but vocal, crowd. Geelong – 2nd on the Ladder being touted as Flag Favourite. Us? 12th, still with a percentage under 100% even after last week’s demolition of Brisbane. Sitting with Genevieve and my Geelong-supporting brother and his family the ump did the initial bounce – and the First Quarter was on and unbelievable. I only wanted the Quarter to finish before Geelong got a single goal in answer to our seven. As a demonstration of our best you could not fault it – our Mids owned the Centre; our Backs drove the ball forward; our Forwards led into different positions and kicked accurately. The Second and Third Quarters were fairly even. Then from the start of the Final Quarter, exactly like they did in their loss to GWS (for the Canberra folks who went to that game), Geelong kicked three goals in quick succession (Hawkins was devastating – gee he is big) and the game was on. Reduced to an eight point margin from our 44 point lead at Quarter time I was holding my breath. But the guys ‘stood up’; no panic, run to the end. Great satisfaction at the Final Siren. Don’t believe the ‘easy’ excuse of ‘kicking’ for Geelong’s loss. Yes, they kicked a few behinds but this game was about something else. It was about hunger and commitment. Our team showed that. It is hard to pick Best. The entire team was fabulous. Notables, because I can be critical at times – Treloar, Pendles, Greenwood (shut down Selwood; thought he might have been given Dangerfield), Steele, Grundy (away from the Centre), Jesse White (particularly in the First Quarter), Varcoe, and everyone else. It was a superb team effort. Criticisms? We must put Witts back in to the ruck. Grundy is great around the ground – particularly with two key goals (apart from that awful kick for his first), but our Mids who were fantastic need the ‘tap to advantage’. I totally agree with Matt’s and Sal’s assessment with the exception that I would like further work on the Back 6. Frosty did some great things on Hawkins through the game but, ultimately in the Final Quarter, he got away from him. Frosty is not strong enough yet to shut down a Hawkins or a Buddy, or a couple of others. There are a number of Backs regularly getting onto the Best List in the Twos. Bucks was happy, as he should be – see his comments at http://www.collingwoodfc.com.au/ ‘Buckley’. Thank you to those others who have also commented. Let me reinforce that my prediction of a win was based on the logic in last week’s email (the margin is always a bit of a pluck). I’m feeling somewhat (what’s the right word? There are a few coming to mind|), noting that all the Experts picked wrongly. As noted by Matt, there is a lot to like about that performance. I think it met what we had all been expecting based on the List and the pre-season work up. It also highlights that this season has no clear favourite (GWS scare me more than most of the others). We are now one game outside the Eight. I have no doubts, 2016 can be our year. Am I getting ahead of myself? No. The performances last week and this, and on occasions during some of the other games, show what we can do. We just have to do it now, week after week. And just to reinforce that, from one of the Masters who was also wrong about this game (like nearly everyone else – have I mentioned that? ): http://www.theage.com.au/afl/afl-news/afl-2016-perhaps-it-really-is-anyones-flag-20160522-gp12y0.html. Go Pies. Match Reports. http://www.afl.com.au/match-centre/2016/9/coll-v-geel and at http://www.theage.com.au/afl/afl-fixtures; and ‘happy snaps’ at http://www.theage.com.au/photogallery/afl/afl-round-9-collingwood-vs-geelong-20160521-gp0qir.html. Highlights? The First and Final Quarters are worth watching and have a quick read of http://www.afl.com.au/news/2016-05-21/five-talking-points-collingwood-v-geelong. Also visit http://www.afl.com.au/ ‘Watch the 10’. 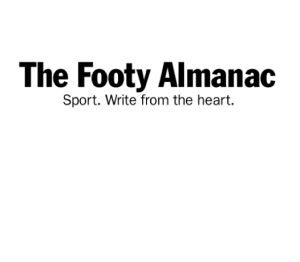 Number 2 and http://www.afl.com.au/news/2016-05-22/nine-things-we-learned-from-round-nine. Betting. Not that I would encourage this sort of thing (of course) but I would note that 3 weeks ago Collingwood were 501:1 to win the Premiership; after Brisbane 251:1; now following this win 86:1. Reporting? Did anyone else go to the game? Your thoughts? Next. Western Bulldogs – Sunday, 29 May 2016; bounce: 3.20pm, at the G. More on that later in the week. Be seriously optimistic and keep the faith. Go Pies.